Recent studies indicate that the prevalence rate for autism spectrum disorders (ASD) is 78% higher than just 10 years ago. The pervasive developmental disorder (PDD) category, also commonly referred to as ASD, represents one of the fastest growing disability categories in the world. In the United States, ASD is more prevalent in the pediatric population than cancer, diabetes, spina bifida, and Down syndrome. The U.S. Centers for Disease Control and Prevention (CDC) now estimates that 1 in 88 eight year-old children have an autism spectrum disorder. Research indicates that the outcomes for children with ASD can be significantly improved by early identification and intensive intervention. How can you be better prepared to help these students be successful? This continuing education course prepares psychologists, special educators, general education teachers, speech/language pathologists, paraprofessionals, administrators, and parents for working with this special population. Recognize the elements and specific features in autism spectrum disorders (ASD). Distinguish between DSM diagnosis and IDEA classification. Learn the differences between a dimensional and categorical view of ASD. Identify current screening and assessment instruments for ASD. Distinguish evidenced based treatments for ASD. This book-based course allows you to earn continuing education hours from the comfort, privacy and convenience of home or office. Purchase and read the book, and then log on to access the test and other information associated with the book. This course is suitable for: psychologists, counselors, teachers, special education teachers, speech/language therapists, occupational therapists, social workers, paraprofessionals, parents, and nurses. 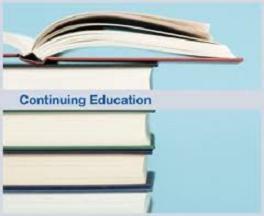 Take the book as a course for continuing education credit, and then continue to use it in your practice. The book is also available in Kindle and/or e-Book formats. The course is available from CE-CLASSES.COM and PsychContinuingEd.com. Recognize the characteristics of the most prevalent types of ASD. Differentiate among screening, assessment, and diagnosis. Identify components of a comprehensive developmental assessment for ASD. This course is available from ProfessionalDevelopment Resources.